Jerry Killebrew has accepted a position to work exclusively for us. Jerry is exactly what we are looking for in a guide. He was born and raised right here in the Ozark Mountains. Hunting and fishing are not just hobbies, they are a way of life. Not only is he a great fisherman, he is a great guide. He has the personality to talk to and entertain anyone he may come in contact with. Jerry started his career on the White River as a cook at Cotter Trout Dock. Within the first year, the owners at Cotter Trout Dock realized they were missing an opportunity and Jerry was moved from cook to guide. It wasn't long before other docks and resorts came calling and he made the decision to move up the river to Stetsons Resort. 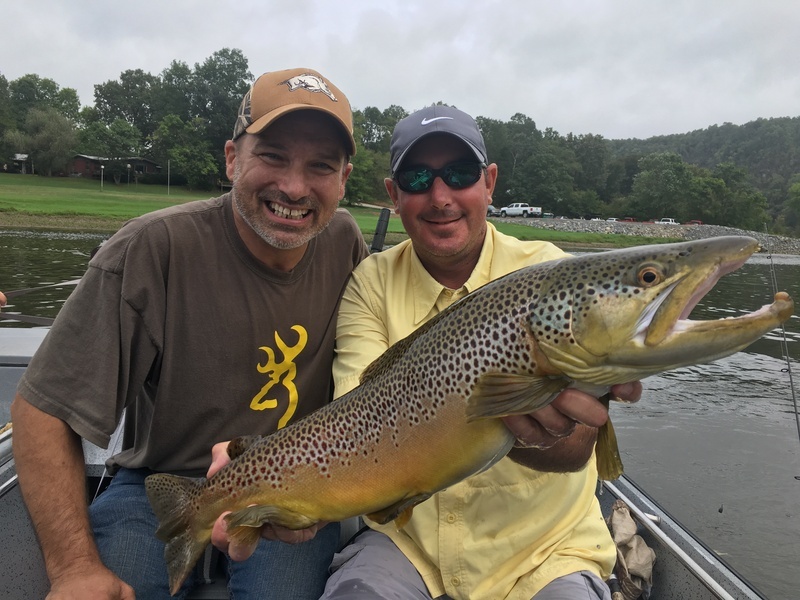 Working with guides like Larry McNair and Josh Ponce, he quickly realized catching rainbows at a furious rate wasn't gonna cut it so he started directing his efforts to catching trophy brown trout. Jerry continued to hone his skills as a trophy trout guide to the point that he wasn't only the best guide at Stetsons but one of the very best on the river. Now more than 21 years after moving to Stetsons he has made another move and we are very excited to add him to our team. If you’re looking for a guide that will put you on great fish and show you the very best trip possible look no further than Jerry Killebrew.